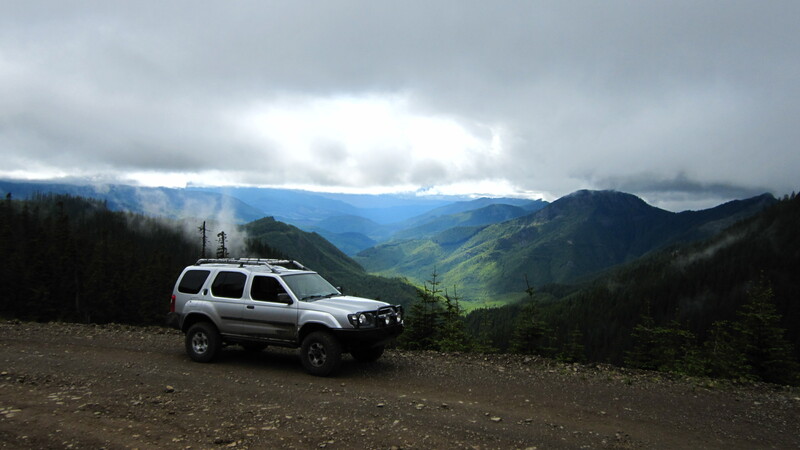 The Naches Pass area is a maze of awesomeness. Driving south on 410, just after Greenwater, WA, take the NF-70 road to your left. 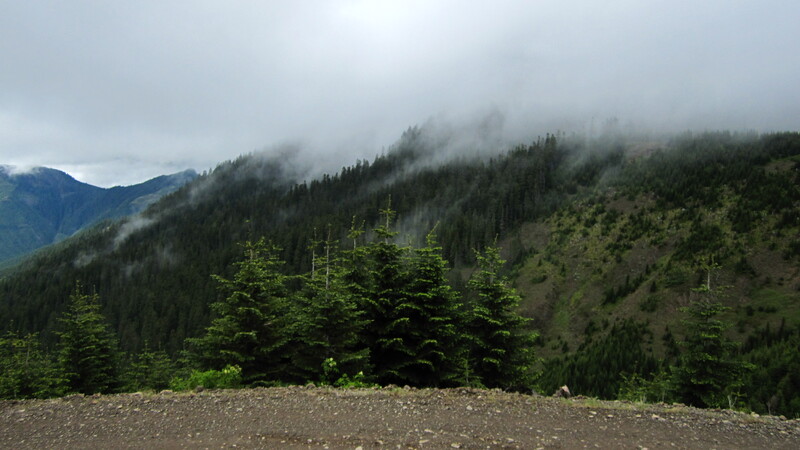 Stay on NF-70 as it climbs up into the lush green forests. 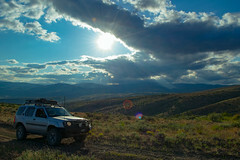 Once the paved road ends you will find ba-jillions of other dusty roads to explore. From there, just start taking whichever forest road looks appealing. Be warned though that while NF-70 is mostly pretty passable even in a car that the offshoot roads can quickly become very technical. On some roads a stock jeep will handle these without a hitch, while others mandate a suspension lift, recovery gear, underside armor and all the usual essentials for backcountry travels: Items like tools, water, first aid kit, food, both cold and wet weather clothes and communications radios. It’s also highly recommended that you do not go out alone. A spotting buddy can make the difference if you encounter difficult obstacles. Even better, have a few other vehicles with you in case you get stuck and a recovery is required. 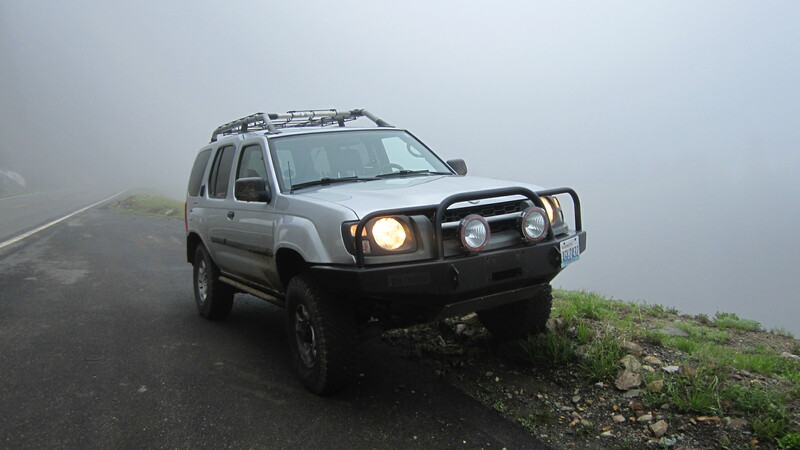 To that end, equipping your overland vehicle with a decent winch, front and rear recovery points, recovery straps and the knowledge of how to effectively use them becomes more pertinent once you venture more deeply into Naches. There are some amazing views to be had up in Naches. I like to frequently stop and take in the beauty. Several times you will find yourself on the edge of a precipice with valleys spread out beneath you. There are numerous boondocking campsites out in Naches. 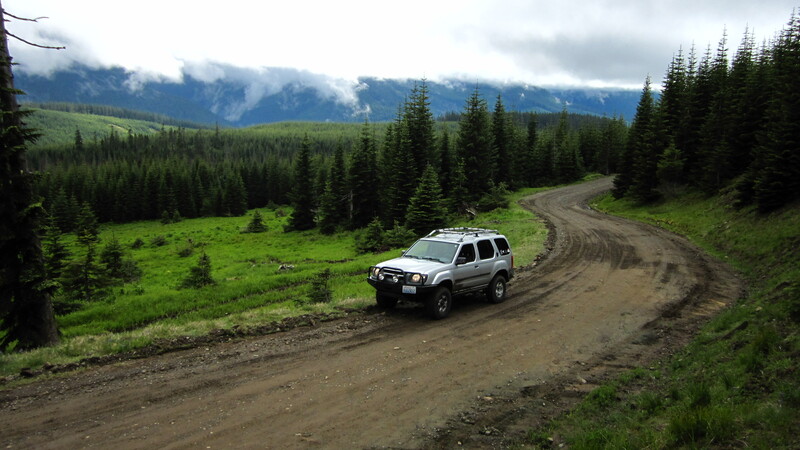 Practice ‘leave no trace’ and ‘tread lightly‘ when out in Naches since there is a real possibility that some forest roads will be closed to ORV travel if too much trash is left behind. And besides that, this is gorgeous forest – leave it as clean or even cleaner than the way you found it. That includes the open shooting pits. Police up your brass, shotgun shells and that TV you shot to smithereens. Travelling way out in the backcountry also requires a decent GPS AND paper topographic maps. It is very possible to get lost out in Naches. You would likely come across someone else before too long but that is not always true of some of the smaller forest roads. I’ve been on trails for hours without seeing anyone. Before I ventured out I stopped by my local REI and picked up several topo maps that cover this entire area. Once out there your cell phone’s coverage area will cease and that means that Google maps will have stopped refreshing. It’s not much good to have your phones GPS working but all it shows you is where you are in one uniform green field. You may want to consider buying a real GPS and/or download all the maps into your phone before you head out onto the trails. Personally, I like to have the paper topo maps in my hand with a decent US Army surplus compass to guide my backcountry travels. Reading maps is a practical skill to improve upon and besides, I find it fun. If you continue to head southeast on NF-70 you will eventually make you way back onto 410. I came back to the Renton area by just following 410 westward. 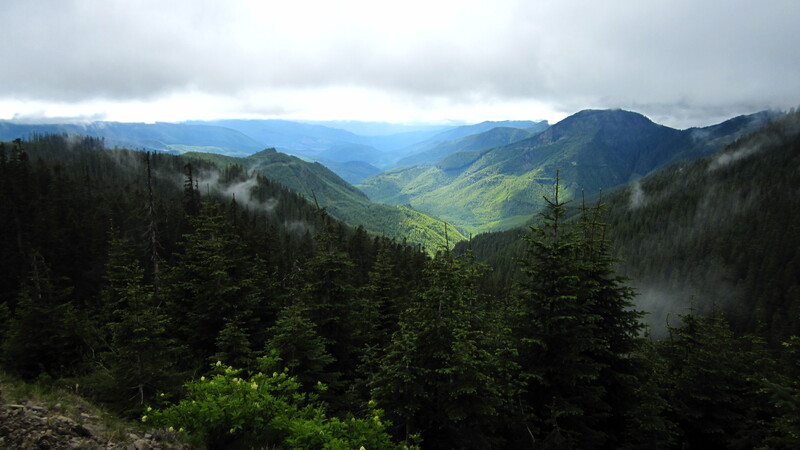 If you take this route you will climb up a pass between Yakima Peak and Naches Peak, which gives some stunning views. 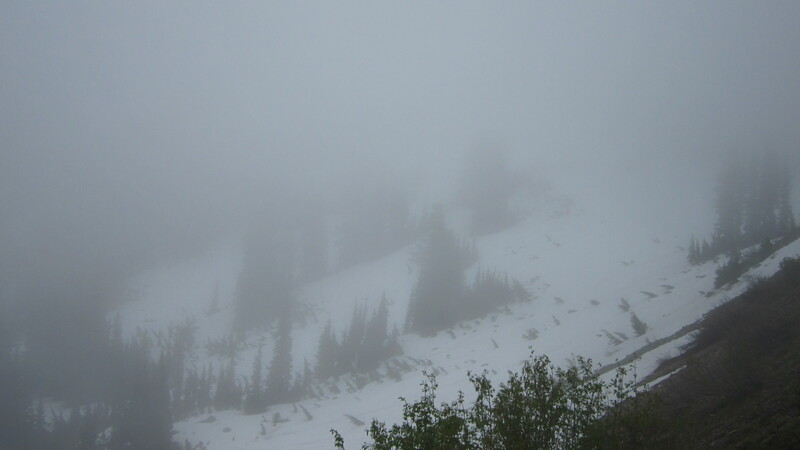 I went over the pass on 29 June and there was plenty of snow and fog on the sides of 410. If you are lucky enough to cross this pass when it is clear you will have a close up view of the east face of Mt. Rainier.